Grant Recipient: UEC MVP Project, Inc. 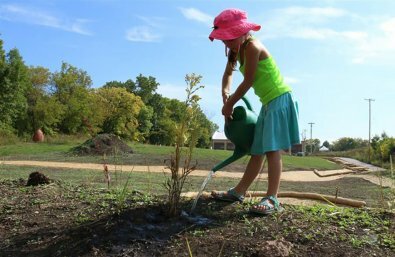 The Fund for Lake Michigan is supporting the joint efforts of the Urban Ecology Center and Menomonee Valley Partners to transform a 24-acre brownfield and former rail yard along the Menomonee River into a park and outdoor classroom. Support from the Fund will help reduce erosion, treat contaminated runoff, and improve water quality and habitat along a 2,600-foot-long stretch of the river. 2014 update: Three Bridges Park opened in 2013 as Milwaukee’s largest city park. The Fund continues to support UEC/MVP in establishing native vegetation, maintaining restored areas, and monitoring for soil and water quality.